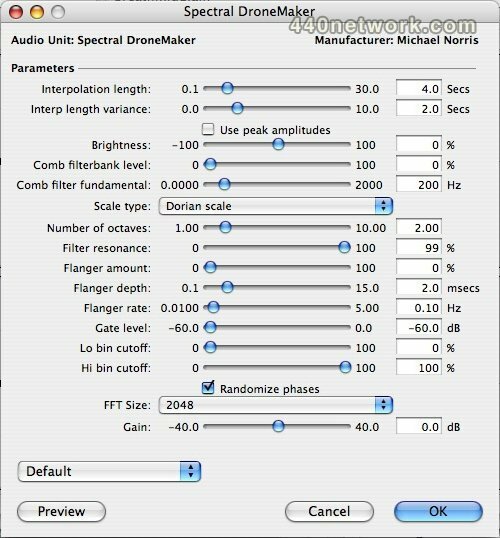 SoundMagic Spectral is a suite of 22 Audio Unit plug-ins that implement real-time spectral processing of sound. This groundbreaking set of effects give you unprecedented control and creativity in the processing of audio, whether from static audio files to live audio streams. 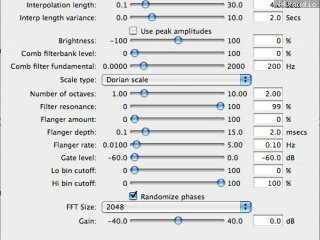 SoundMagic Spectral builds on the work of the OS 9 set of effects known as SoundMagic DSP, and takes it to even more exotic sonic realms. Mac OS X 10.6 or later, and a G4, G5 processor or Intel Mac. I use these all the time for sound design, great set of plugins. La suite sans doute parmi les plus géniaux du marché. Pas de presets, que l'on doit se faire, parfois un comportement étrange, mais on obtient des résultat comme avec aucun autre.